Don't leave free money on the table!! October 1 has come and gone, which means it's time to fill out the FAFSA for the 2019/20 academic year! Creating an FSA ID is the very first step to take in applying for financial aid. An FSA ID is a username and password that allows students and parents to access federal student aid systems and "sign" the FAFSA online. Both the parent and student need one in order to file the FAFSA. For a run down of common FSA ID mistakes to avoid, check out the video below! News Release: Attention Students - The FAFSA is live! Be sure to fill it out! 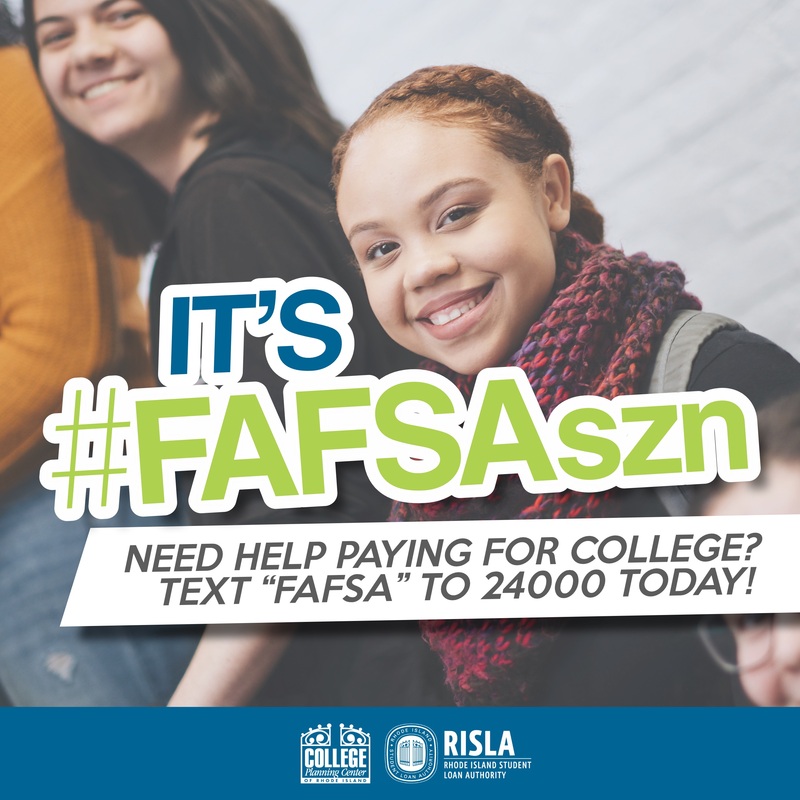 The RISLA College Planning Center will once again be hosting FAFSA Completion Events across the state of Rhode Island to help students, parents, and adult learners with completing the FAFSA. The FAFSA, formally known as the Free Application for Federal Student Aid, is the first step to applying for college financial aid. All schools uses this application for awarding federal student aid dollars and many also use it for awarding their own institutional funds.